E-Squared's blended method of covering all levels of financial support has been developed by Founder & Managing Director, Emily Fletcher, over 10+ years of working in start-ups and restarts. Whatever industry you are in, whatever role you need filled, E-Squared can step in and get the work done more efficiently and cost effectively. Controller/CFO – SocMetrics, Inc. & TrueLens - Set up initial accounting and trained first finance employee in Quickbooks and general accounting procedures. Review and finalizing of monthly and quarterly financials for the board. Payroll and benefits setup, including ongoing support of each. Assist on creation of processes and infrastructure for finance and administration of the firm. Director of Operations and Finance – Open Mile, Inc. - Built company from the ground up, developing all finance and operations processes including specs and product management for accounting tool within the OpenMile online product. Member of the executive team responsible for corporate direction. Hired and trained all finance staff and coached middle managers of operations and marketing. CFO – Organizing Boston - Helped clean up books and trained the owner and three part-time employees in Quickbooks, general accounting and payroll practices. Set up templates for future entries and guidance. Weekly support with banking and financials. Year end reviews for tax preparation. Director of Finance – Weblayers, Inc. - Cleaned up books to prepare for acquisition, completed first audit, developed internal accounting processes, reviewed and highlighted client contract issues, and cleaned up past internal finance issues including fraud. Controller – Lit Boutique - Complete overhaul of inventory entry and tracking as well as training on Point of Sale software and Quickbooks Financial. Review and reconciliation of all merchant banking accounts. Created new purchase order and buying process for cash management and ease of tracking. General accounting and finance training. Controller – Going.com (Acquired by AOL) - Restructured accounting department and processes to stop “the bleeding” on a fast growing social media company. Created financial model and diligence to raise two additional rounds of funding before final sale to AOL. Accounting Supervisor – ThingMagic, Inc. - Managed all finance functions, first audit, implementation of SAP Business One Accounting and Inventory Software as well as all HR, facilities and inventory management. Accounting Manager – GetConncected, Inc. - Restated prior year’s financials, including audited figures to be in GAAP compliance, replaced all internal accounting and tracking practices, inventory management overhaul, implemented Peachtree Accounting Software then eventually Solomon Accounting Software. Developed financial reconciliation system with the engineering team to better assist in client management. Finance Manager – Morpace Pharma Group - Responsible for all aspects of financial management in a distressed subsidiary, including forensic accounting, cash management, budgeting, vendor management, and HR. “Emily was our long-time Controller at Going and did an excellent job. She was reliable, knowledgeable, trustworthy, great with Excel even for complex financial models, and had an excellent attitude that everyone on the team enjoyed as well. She knows how to summarize information for senior execs, yet related well with everyone from our engineers to the product team. “Emily’s been with me, both here and at Going from the earliest of days. In these early stages, she’s been the rock we can lean on to get a company humming. She’s played a huge, massive role in building Open Mile from the ground up. She’s built and driven a fantastic Finance and Accounting function and recruited and managed great high achieving teams. She also always goes beyond any expected call of duty to help define our culture, create traditions, and ensure every single one of us has the best possible experience at Open Mile. “Emily came to in to my multi location retail business to help us gain a stronger grasp with our financials. Within weeks we had a smooth running process. She helped us go from excel sheets and paper to fully utilizing our financial software, we now are so much stronger, with the ability to forecast our cash needs (!!) to tracking profits down to a single skew. -Claudia Huapaya, Junior Staff Accountant at Going, Inc.
E-Squared Partners helps start-ups build the proper financial structure and provides multiple levels of ongoing support. In one tight package, the E-Squared handles the entire Finance, Administration and Operational aspects of a small business. Call us at 617-682-0097 or email info@esquaredpartners.com for a free consultation regarding your finance and admin support needs. The finance department is your necessary evil. We say "No" and set more rules than any other department in your organization. E-Squared (E^2) was my nickname in junior high and high school. It stood for Evil Emily, but we were math nerds, so e^2. I became known as Evil Emily because I was the one that was always nominated to have the hard conversations. Telling our teachers that the lectures weren't helpful, telling the mean kids to scram, preventing slackers from joining in on our group projects, etc. I was tactful, but always the one delivering unpleasant, but necessary news for our nerdy crew. This has translated very well in my career. I'm not always the most popular person around the office (not because of my personality! I am fun times!) because I lay down the law. 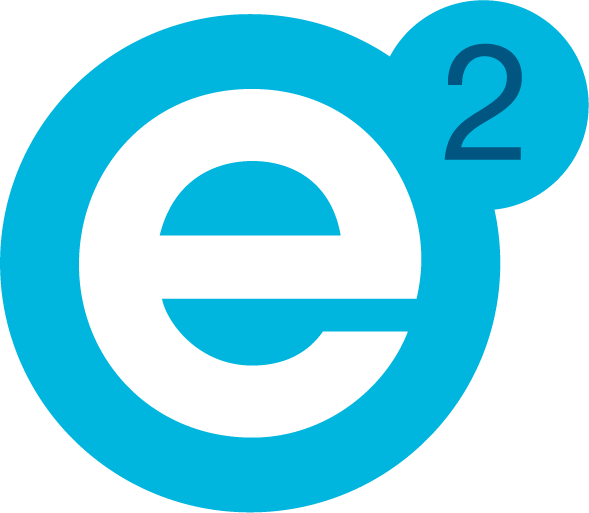 When it came time to name the company it was simple: E-Squared, your necessary evil.